My trip to Manila has been a very good experience for me. Aside from meeting new faces, I was able to audition equipments that I’m planning to acquire for my system in the near future. Ironically despite the availability of so many gears for audition at a certain meet and all the high-end stuff laid on the table, I ended up getting a cheap pair of earbuds in local audio shop which really impressed me. The AKG K311 earphones. These earphones come with a very simple packaging. Colors available are Milk, Plum and Lime. No flashy earphone cases and attention seeking colors to catch your eye. It’s just the black carton box and the earphones with a pair or foams which screams simplicity and nothing else. But what really caught my attention was that it only costs 990php($15-$20). I never thought that AKG covered such price range and it really struck my curiosity to discover the cheapest AKG I ever saw. Luckily at the shop in which I bought these, they allowed me to audition every earbud under the $40 range. I thought the K311 sounded the best among them yet the cheapest, we might just have another entry-level contender. Test setup is kept on entry-level too. Just an Apple iPod(6th gen) in ALAC and the earphones themselves with EQ, off out of the headphone out. The K311 is not an exception, the usual weakness among earbuds which is bass presentation is very obvious here. 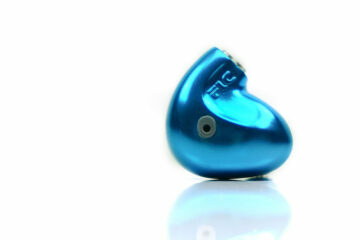 Not to say that it has no bass, it’s just that its bit weaker than most when you put IEMS in consideration. 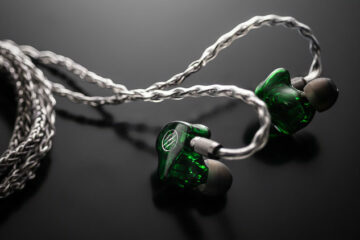 Nevertheless, despite the shortcomings, it was able to present midbass quite accurately for an IEM of such price. Bass is punchy rather than deep. Experimented with having the volume turned up to max with bassy tracks by Benny Benassi, amazingly no distortion. I remember the last time I tried and earbud with this distortion threshold was with the much more pricey Yuin PK2. So with the given price, no complaints here, impressed even. Played some vocals and intrument based tracks by Diana Krall and Acoustic Alchemy to find out the accuracy of presentation and the mids. I did not quite expect what I found out. Though these sound a bit dark and dry, I was surprised on how these cheap buds presented the mids so well. Mids presentation was forward, very Shure-like and richly textured. It has the tendency to sound confused and lose accuracy on complex and fast tracks but piano was nicely presented. As for cymbals, not so much. Mids are richer than the PK2 I must say, but in terms of fluidity and dynamics, the PK2 wins hands down. But for the quarter the price, I’m not complaining. I’d be praising for such performance and value. As for the highs, this is where the K311 comes up short, pleasantly short. Much like seeing a beautiful lady donning her shorts on rather than trousers Sibilance is my main issue when it comes to the audio gears that I put in my ears and other stuff related to that. Was really glad that these buds doesn’t have any hint of sibilance no matter what track I throw to it, at least on my combo. Though the highs could use a little more improvent. Rock music tend to sound a little boring with these since cymbals and Hi-hats are not very well presented here. If you are not much of a purist, a little EQ would help on this area. For curiosity’s sake, I tried hooking them up with the Fiio E7. It’s amazing how these sound so much better with an amp. Overall, soundstage and accuracy improved especially on the bass department. Bass became fuller. These earbuds became more fun and dynamics improved especially with the E7 though the dark qualities of both tend to muddy up the sound, so you’d be better off having the bass boost to level 1 only. Further testing with other amps would help unveil the potential of the K311. The AKG K311 rather performs well above the given price($15). It excels on some areas, especially on the mids, sometimes even better than most earbuds beyond the $60 range. Given the dark nature of the sound sig, this would pair well to bright sounding DAPs such as the iPod. If you are looking for a good pair of earbuds you might want to try considering them on the list. Good sound. Durable cables. A bit short on accessories but they more than make up for it on the performance the give the money you spend. Very good value for price. I say we have a new entry-level winner here. Not to mention, it’s a pain the ear literally- I just bought this today. The earphones are too huge to fit in the ear and too hard and uncomfortable to wear. After about half an hour with this earphones, I started feeling the strain in both ears. As for the sound, I say its pretty decent, nothing special with more emphasis on the highs. The lows, while they sound clean and less muddy, they need a little more boost- although it would help a little if you slip on the foam cover, adding a little more “bass-y” effect on the overall sound plus it gives a little more comfort. AKG have a winner in the entry level range. Had this earphone auditioned today also here in Manila and the sound for the price is more than what you wd expect. Though, the fit wd be quite another issue and i wd tend to agree with vhalvhaugne in this area.